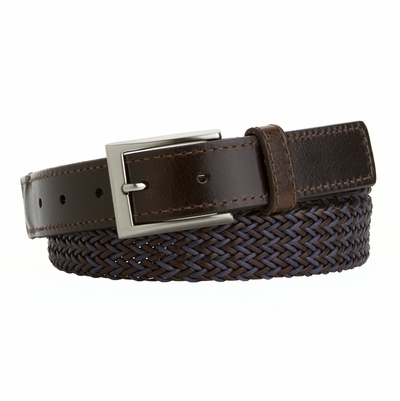 1-1/4" = 32mm Wide leather and woven polyester braided purple and brown belt. Very comfortable and stitched leather support at the end of the belt. Casual jean or dress belt for a proper fit. This color can be matched with white, jean blue, gray, khaki, beige and yellow. Durable casual mens belt with a fashionable and unique style.